Have your next party, function or team building event with us at Tenpin Tauranga. Bowling is a fun activity that can be enjoyed by people of all ages and abilities. Whether you’re gang of go-hard competitors or just up for a good time and a few laughs among friends, Tenpin Tauranga have everything you need. We offer special deals and rates for large groups. Check out our price lists for more info, or contact us to discuss your requirements. 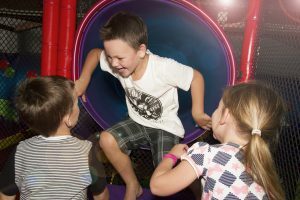 If you’re planning a kids party there’s no better place than Tenpin Tauranga! Between the bowling lanes and our awesome arcade, plus Avenue Pizza for the best pizza in town, kids parties were never more fun! Check out our special kids party deals and prices!